Biman Bangladesh Airlines Jobs Notice 2016. Biman Bangladesh Airlines Job Circular 2016 in Bangladesh has given today. 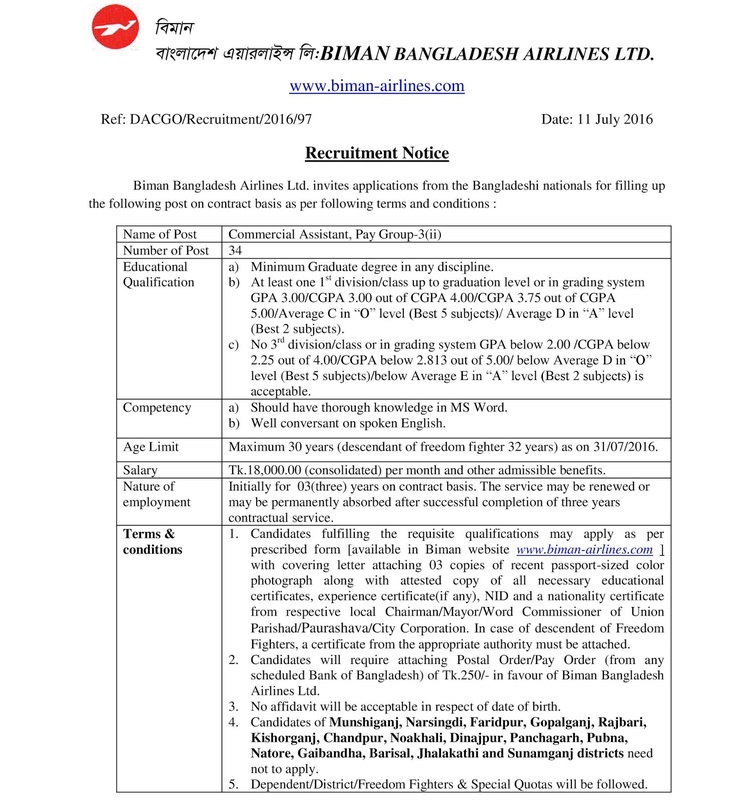 Interested Applications Can able to apply for Biman Bangladesh Airlines Jobs 2016. 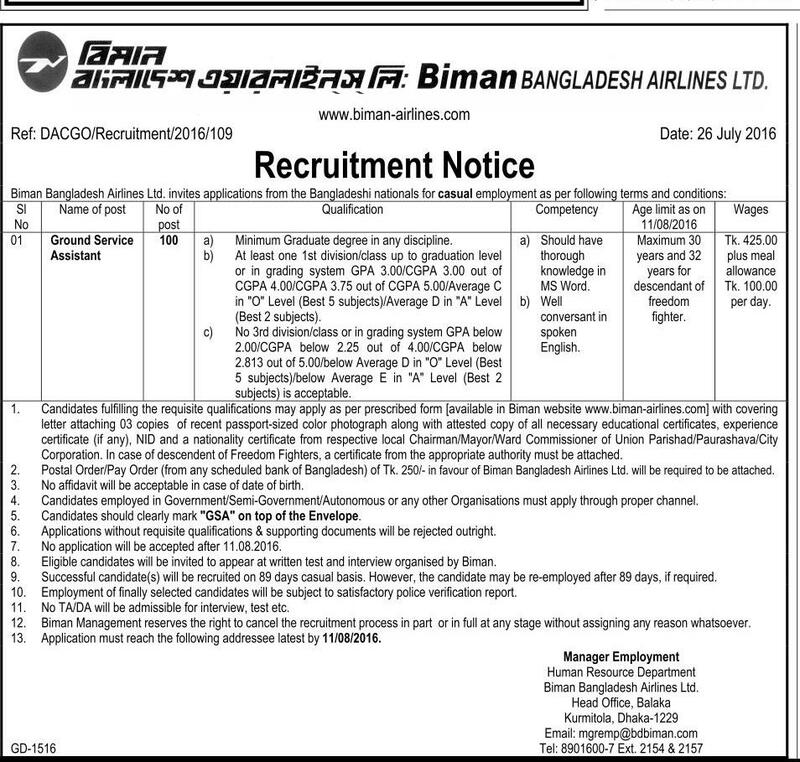 Biman hires employees through advertisement and it is available here only when there is any. For Job Related queries, you may contact Manager Employment at mgremp@bdbiman.com.